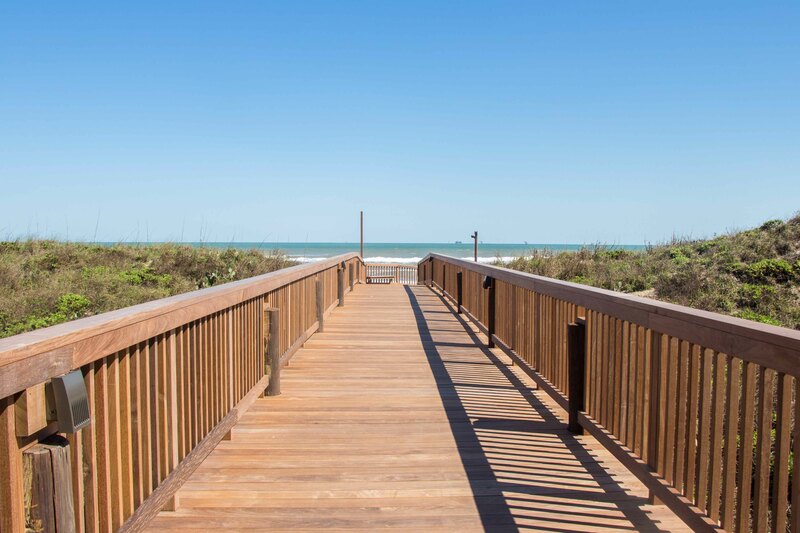 Get dirty and play in the sand! That was the motto of this year’s Texas Sandfest. Every year this amazing contest is put on in the heart of Port Aransas! This even has been bringing people by the 1000’s from all over the country and world. The weather was perfect all weekend and we enjoyed every sculpture. It’s incredible what these artists see in their imagination and make into these masterpieces of sand! 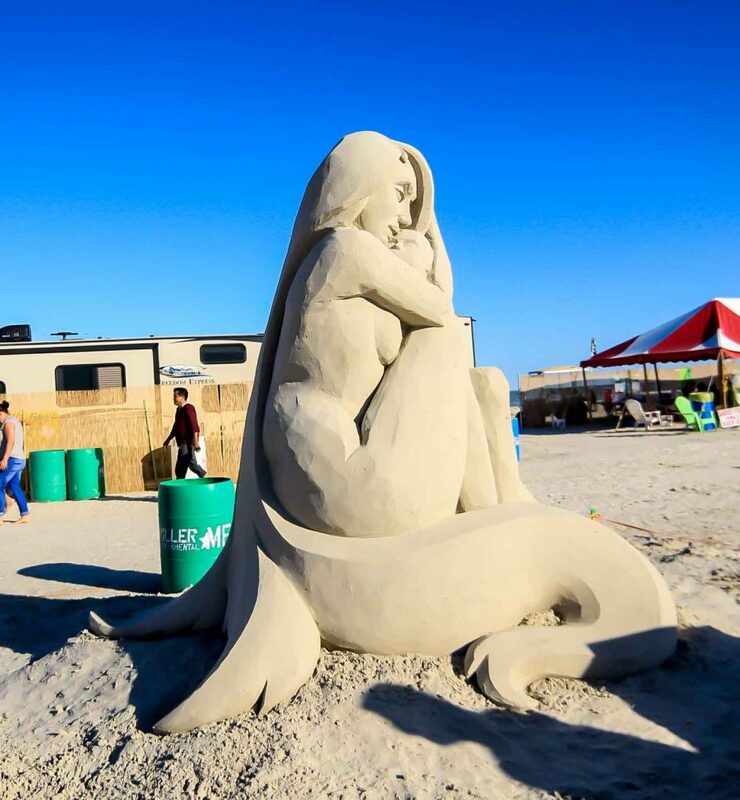 There were a few things that we loved about this year’s Sandfest compared to the other past contests. The first thing that was much more improved about Sandfest this year were the multiple places to stop and get some shade! The weather was hot on Saturday and even though we did have some cooler weather into Saturday night and all day Sunday, that sun was so intense! Bernie’s Beach House had a huge covered tent where everyone was welcome, including kids, to come and drink some cool refreshments as well as take a load off for a little while. There were so many different vendors all around the grounds that you could purchase anything that would make your experience more comfortable as well as interesting things to take home! Every year there are vendors but the space to walk has been way more crowded in the past and we think this year they spread out the isle a little more, making it a much more comfortable experience overall. The last part that we really enjoyed about Sandfest this year was that you bought your bracelet for $10 that covered you all weekend! 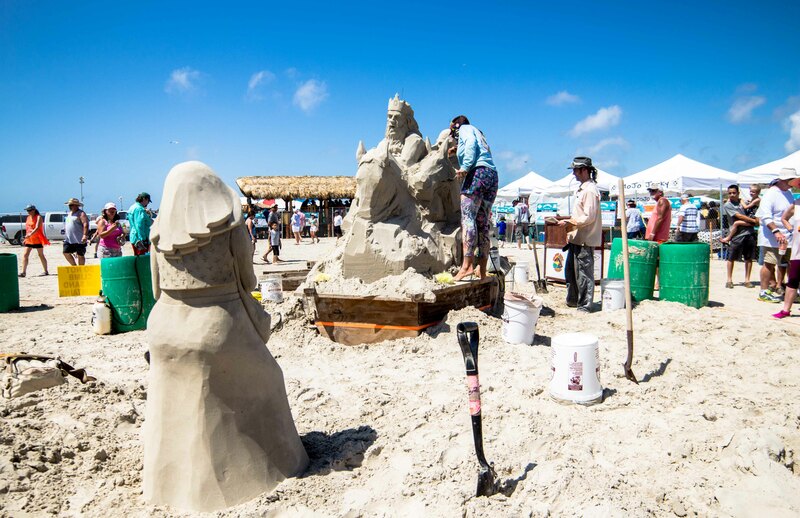 Texas Sandfest is such a huge hit in Port Aransas and with the many years to come we are looking forward to seeing how much this event changes. 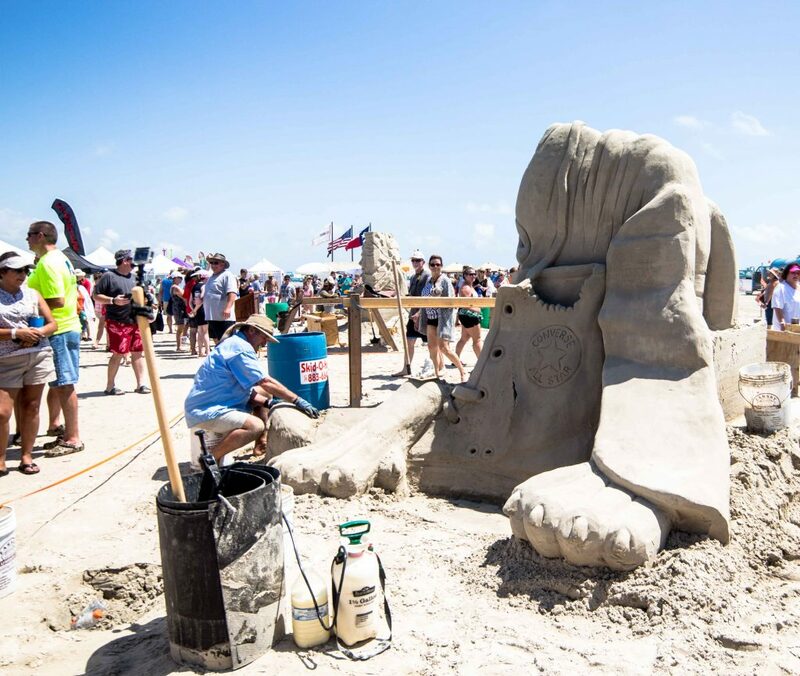 It’s important to remember that Texas Sandfest originally started with 2 mothers taking their kids to the beach to play in the sand build Sandcastles. We would say that Sandfest has grown into a huge event from that and we are excited to see what else is in store for years to come.